Alex Hernandez Law: Research a Business Before Paying for a Service! Giving your hard-earned cash to a business with less than a stellar reputation can invite major headache and frustration. Finding tickets to that sold-out music show you’re dying to see or professional sports event at the end of the season can be difficult, and the appeal of purchasing admission via a sketchy website that has the last two tickets you need could prove more trouble than it is worth. Taking the time to evaluate the website or business before you put in your credit card information will protect your personal information and ensure that you won’t be involved in a frustrating experience. In this article, we’ll discuss some easy ways to research a business before you purchase something through their website or one of their products. If you find that you have been the victim of a phony business transaction or have purchased an item and have not received it, call The Law Offices of Alex R. Hernandez Jr., PLLC. We have experience in dealing with bad business deals and want to review your case. Contact us now for legal advice and representation in Victoria or Corpus Christi, Texas. The most reputable of websites you can use to check the ratings of a business is the Better Business Bureau. The BBB tracks customer’s complaints, comments, and issues with any particular business. It’s extremely vital to a business’ success to have a good rating from the Better Business Bureau, and if they continuously receive bad reviews and ratings, it will not bode well for the can negatively impact a company’s ability to make money or even attract new customers. You can search the national Better Business Bureau database, as well as the particular state or region where the company is located. Use the phone number, address, business name, or email as the search criteria. Before hiring a company or individual, paying for a service, buying tickets, a vacation package, an event, or any other important purchase, utilize the Better Business Bureau database and protect yourself and your family from fraudulent or bad charges. No, that’s not a typo. Whois is the official registration of a company’s website, and every business is required to disclose their information to Whois. Checking a company’s Whois record can help you see past a flashy storefront or too-good-to-be-true product and delve into their dealings and customer satisfaction ratings. If the website seems brand new or gimmicky, that may be a red flag and could mean that the company could be a phony pop-up store designed to take customers’ credit card and payment information and then delete the website so that the customer won’t be able to find anything until after he or she has learned that the site was a scam. If there isn’t a point of contact, an email address, or a street address, this could also be a bad sign. Fraudulent companies often hide their Whois information, so if you find it difficult to identify a company’s legitimacy via the Whois database, it might be a good idea to go with a more trusted business that is reputable and honest in their dealings and transactions. Finding out if a business has had lawsuits brought against it can cause any potential client or customer to head for the hills, but how do you know if a company has experienced legal troubles? Using your favorite or preferred internet search engine, type “v company name” (including quotation marks) and any case(s) where the company was the defendant in a legal case will come up. You’ll be able to read the details of the case and the settlement (if the case isn’t still open) that was reached. Please keep in mind that not all lawsuits mean that a company is horrible. Sometimes, unavoidable difficulties occur between business and individuals and unfortunately business and companies are required to reimburse individuals for accidents and other circumstances that may have been outside of their control. It is important, however, to pay attention to the details of a case to determine how the company or business handled the situation. The manner in which they handled a legal issue will speak volumes about their character, company culture, and if they value customer satisfaction first and foremost. If it seems that the company is in the middle of several lawsuits and they all seem to be surrounding one specific product or service that was promised to customers and was not provided, it may be a better use of your time and money to find a different and more reputable company or business that offers a similar product. If you want to continue to dig into a company’s history and business dealings, you can call your state’s attorney general or local consumer protection office. If you can’t find one, you can also contact the national branch of consumer protection. It’s a great idea to do this if the company doesn’t have a website or is relatively new and doesn’t have reviews or references. Many states require specific licensing and registration for services for various professions, and if a company or business is found to not have the correct licensure or it has expired and not been renewed, the business will be flagged. This is public information, and a quick call to your local office may reveal more about an individual or company than you might have thought possible. This is an especially good measure to take if you’re looking for a home building contractor, an insurance agent, or an auto body shop, and you want to make sure that you’re choosing only the best. If you’re speaking with a realtor or an insurance agent, make sure to ask for references. This is a great way to cross-reference an individual’s previous work, rapport with former customers about the quality of service they were given. If you’re hiring a home building contractor or auto body shop, ask for pictures or to see prior completed work. You can also type the name of the person who you wish to hire or the business into your favorite search engine to check on reviews or other feedback received from former or previous customers. Browsing social media pages will also shed some light onto customer service and satisfaction. While you should take everything said or written with a grain of salt, double checking everything you can about the potential company or business will be sure to only benefit you in the long run. If you find that the business or company wants you to sign on the dotted line immediately and won’t seem to take no for an answer, stand your ground until you’re satisfied with your research. If there is a detailed contract and you want to have a lawyer look over the fine print, this is absolutely within your rights . Don’t sign anything you don’t understand or hasn’t been explained in detail to you. f you are planning to pay a large amount of money, always pay with a credit card so you’ll have a paper trail detailing your payment and also the credit card company will have record of the payment, in case there is an issue with the product or service that the company provides. A credit card company will also have advice on how to dispute the charge if it’s fraudulent and can back you up in a legal case if needed. Paying in cash is never a good idea, especially for large purchases. A credit card will save you major issues and frustration and will help you to keep a detailed paper trail of your purchases, in case you need to go back through your records to prove a purchase was made. In this day and age, it can be easier and quicker to email information back and forth and forget to print out copies of agreements, receipts, and contracts. Unfortunately, if you can’t find the electronic agreement, then it’s your word against the word of the business. Don’t make the mistake of not having the information you need for legal action in case the contract goes sour. Print out everything, including email and text message (if applicable) correspondence. If you do sign a document, ask for a copy and make sure to keep everything with your signature on it. After purchasing something online, secure a physical print out the confirmation email and shipping information, if you’ve ordered a product. Write down the company’s contact information, such as their email, phone number, or web address. In case you never receive the product you ordered or it arrives damaged, broken, or not what you expected to be or it seems as if the business has fallen off of the face of the earth, your careful record keeping will help you to build a good case and aid a lawyer in taking the correct legal action. Keeping a detailed account of everything will help your case and cover your back if the business deal is bad or you discover that the contractor you hired to build your dream house isn’t really a contractor after all. Saving those receipts may be a good idea and save yourself trouble. Recently, our law firm has been working on a case that relates to this very subject. A company called the Golden Gecko was planning to bring boxer Mike Tyson to the Victoria Fine Arts Center in Victoria, Texas on January 30, 2015. Unfortunately, the show was canceled due to low ticket sales and the day after the show was cut, the Golden Gecko closed down. Since the business was no longer a viable company, the Better Business Bureau could not enforce the refund of ticket sales to the customers who bought admission to the show. This proved frustrating and disheartening to patrons who trusted the company. The customers did not have their money refunded for two years and were forced to take legal action to receive retribution. Alex Hernandez Jr. suggested that the customers who were cheated out of their money should connect via social media platforms and then file a joint small claims case together to avoid paying multiple court and claims fees. He also mentioned that a receipt for the transaction could be used as evidence for the claim. To read more about the Victoria small claims case, click here. Trusting a business or company with your money can be nerve-wracking at times, and it’s always important to double-check everything, even if you’re only making a small purchase. Even seemingly reputable companies can be fraudulent and a simple transaction can quickly turn into a nightmare. 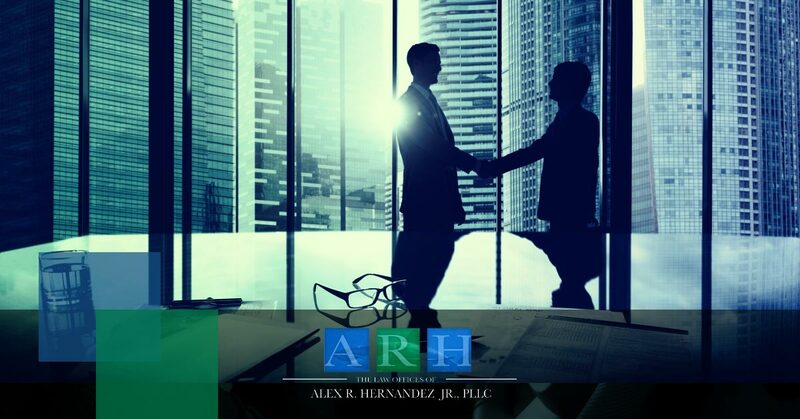 If you find that you’re experiencing a bad business deal or you need a refund for a service or product you never received, call The Law Offices of Alex R. Hernandez Jr., PLLC. Located in both Victoria and Corpus Christi, Texas, our experienced and professional team will review your case and give you excellent legal advice. We understand how having your money stolen can be frustrating and cause major issues in your personal life. Call us today and let us review your case. We want to help you get the legal representation you deserve!